BECAUSE THIS ISN’T JUST ABOUT PINTEREST IT’S ABOUT GROWING YOUR BUSINESS BY USING PINTEREST TO GROW YOUR EMAIL LIST! As a platform, Pinterest can be overwhelming and we get that. But it’s powerful platform you should be using for your business. Pinterest is an endless effective marketing tool for your business, you just wish it was simpler to understand, navigate and implement. Let us work with you to help reduce the anxiety of using Pinterest for your business. Let us examine what you are doing, what you can change, and how to implement strategies all personalized to YOUR Pinterest needs! We will dig in very deep, examine your Pinterest thoroughly, and give you a detailed action plan along with a one on one for us to answer any of your questions and explain all the steps to you! 2019 is the year of Pinterest. BUT more importantly it is the year of you taking your Email List seriously! With referral traffic from Pinterest increasing, you want to be ahead of the curve in learning how to use Pinterest effectively to grow your Email List. with the intention to grow your business, grow your traffic passively and grow your income passively with the use of Strategic Pinterest Marketing then this is it for you to take that step NOW! we grew our email list to 10k - all from pinterest! strategize how to grow your email list to 10K without paid ADS! we know how vital an email list can be, let me show you how to grow it! The first step in working together is us getting a good idea of your brand, your business, you as a business owner, your Pinterest knowledge, your goals for working with us, and how you see Pinterest helping you achieve growth for your business. In particular want to focus on your EMAIL LIST. Because for us, email list growth = business growth! Pinterest is just a way to get there. Actionable improvements that you can implement into your account immediately. Website improvements to drive conversions. PLUS a checklist + videos of How to Optimize your Pinterest - with actionable steps! A 1:1 call with me to go through the findings and strategies presented in your report plus your chance to ask any follow up questions! note: on average it takes 3 months to see substantial impact on pinterest and with pinterest. We recommend 3 months, so we can dig deep and work together over 3 month period and have more 1:1 calls which we can utilize in many ways including questions, strategizing, teaching etc. if at this time you feel you cannot invest in 3 months, then let’s do a thorough 1 month strategy for you! Growth in traffic - more visits to your shop, website, blog equals to more people coming across your products and services! Growth in your business - by placing your brand, products, services in front of more eyes. Save money - PINTEREST IS FREE, that is it is a FREE way of advertising and it’s FREE traffic coming your way. You don’t have to pay for traffic or buy ads, you can reach so many people in your target audience just by utilizing Pinterest strategically! Yep, let us say that again: NO AD SPEND! More time towards your true business passions - without having to spend so much time, money and energy towards trying to grow your business, you can now spend more time creating content, products and services. Increase new leads - imagine that, every day, new people coming across your business resulting in new leads? Growth in your community or email list - Pinterest is THE tool that we have utilized to grow our email list of creative entrepreneurs dedicated to learning from us. They look forward to receiving both free and paid content from us. Everyday we wake up to, 10 new subscribers, on average! They are finding us via Pinterest! And finally we have grown our community to 10K members by more and more people learning and seeing our brand via Pinterest! Let us help you achieve unimaginable growth in your business with Pinterest! We are Tript and Prabh from Buzzing Creatives, where Creative minds learn the power of social media. 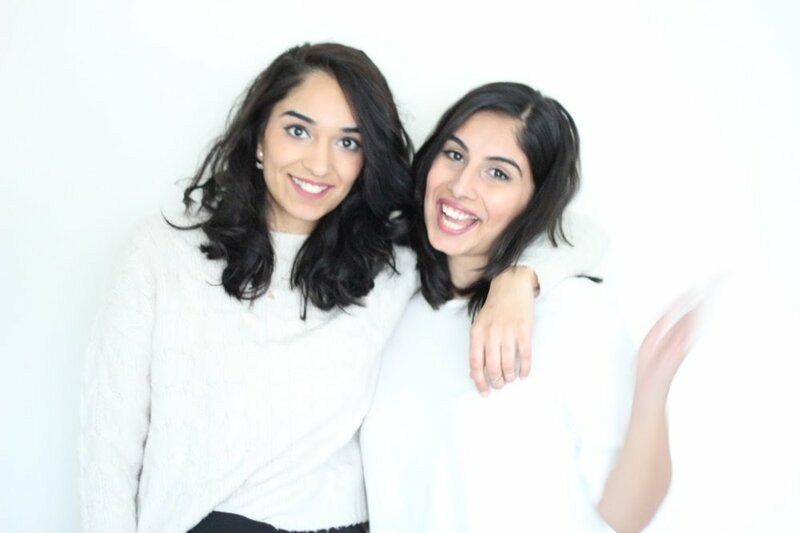 More importantly, we are social media experts that specialize in Instagram & Pinterest - and yes we are sisters! We teach creative entrepreneurs how to grow their business online by leveraging social media. Buzzing Creatives was born out of our experience of running businesses and passion for teaching. Don’t feel like you need an overall Pinterest Overhaul, but still have some specific questions? Then our personalized Pinterest 1:1 Your Questions Answered Session is for you! You send us your questions, and we address those in a recorded video! This gives YOU a chance to have specific questions answered that pertain to your Pinterest. Therefore this is a 1:1 on all things your account, all customized for you! You ask, and we answer in a recorded video with screen recordings and tutorials! We take over your Pinterest so you don’t have to worry about it at all! We optimize your account, create pins, join group boards, schedule pins all for you!